enjoying a totally natural landscape and surrounded by autochthonous vegetation. well as the multi-adventure package we offer. with games and music to enjoy yours. with bathroom, 2 of them have a double bed and the other 2 have single beds. It is the ideal rural house in Galicia for children and the elderly. CASA DA CARBALLEIRA is your best option. Rural vacations in the best environment. 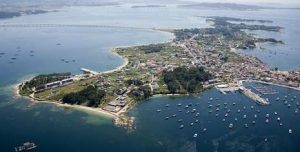 The rural house is half an hour from the beach and 18 minutes from the Rías Baixas. Known for its cuisine, and its pleasant surroundings, peaceful and quiet, very natural! has all the characteristics to spend your family holidays. a few km from the Galician capital(Santiago de Compostela).